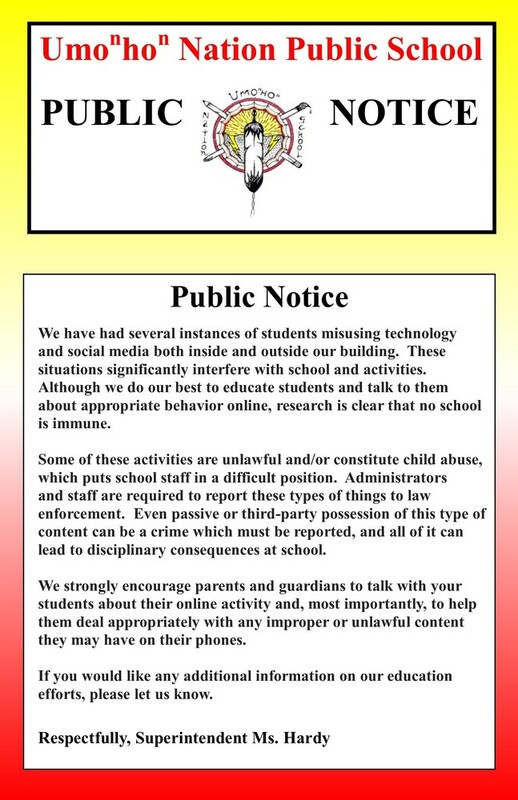 We have had several instances of students misusing technology and social media both inside and outside our building. These situations significantly interfere with school and activities. Although we do our best to educate students and talk to them about appropriate behavior online, research is clear that no school is immune. Some of these activities are unlawful and/or constitute child abuse, which puts school staff in a difficult position. Administrators and staff are required to report these types of things to law enforcement. Even passive or third-party possession of this type of content can be a crime which must be reported, and all of it can lead to disciplinary consequences at school. We strongly encourage parents and guardians to talk with your students about their online activity and, most importantly, to help them deal appropriately with any improper or unlawful content they may have on their phones. If you would like any additional information on our education efforts, please let us know.